The nursing team is led by a Clinical Nurse Manager III. St. Brigid’s Ward has a Clinical Nurse Manager II, staff nurses, student nurses and health care assistants. The outpatients department has a Clinic Nurse Manager II and a health care assistant. In addition, the team has Clinical Nurse Specialists, an Enzyme Replacement Therapy Co-ordinator and the Clinical Trial Research Nurse. The CNS works with all members of the multidisciplinary team in providing a number of services to families of newly diagnosed metabolic patients in addition to established families. One of the fundamental aspects of the role is to give practical advice to families to assist in the day to day management of these conditions. This established role provides continuity of care to patients/families as well as a link between the hospital service and the community. Education for parents, patients and carers on all aspects of management of metabolic conditions. This education role is also extended to PHNs, student nurses and other healthcare professionals as necessary. Support for parents and families around new diagnosis. Ongoing support for issues related to specific conditions and coping with the same. Liaison role or link between the in-patient and out-patient services. 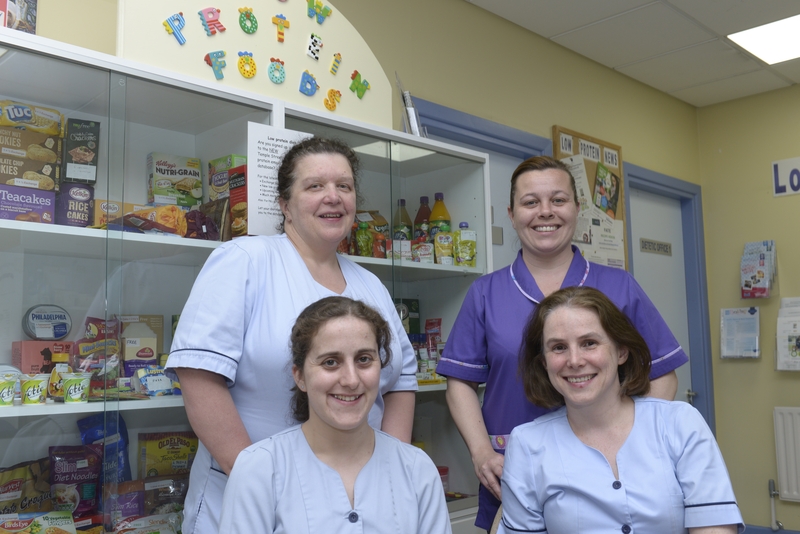 Co-manage the PKU clinic with our dietetic colleagues on a weekly basis. The metabolic CNS can be contacted by telephone on 01 878 4409 or calling the hospital number (01 878 4200) and asking for bleep 828. The role of the Lysosomal Storage Disorder Specialist Nurse CNM 2 is to co-ordinate the care of patients with a Lysosomal Storage Disorder (LSD). The Lysosomal Storage Disorder Specialist Nurse CNM 2 works as part of the multidisciplinary team and liaises with other disciplines that may be involved in caring for patients with a Lysosomal Storage Disorder external to Temple Street Children’s University Hospital. The Lysosomal Storage Disorder Specialist Nurse CNM 2 can be contacted during working hours by telephone on 01 878 4646. The CNS at the Mater Hospital can be contacted during working hours 9am – 5pm Monday – Friday. If the Nurse is unavailable please leave a clear voicemail message. If you are unwell and require urgent advice please ring the Mater Switch: (01) 803 2000 and inform them you need to speak to the Metabolic Team. If you are unwell and require urgent advice outside our work hours please ring the Mater Switch: (01) 803 2000 and inform them you need to speak to the Metabolic Consultant.